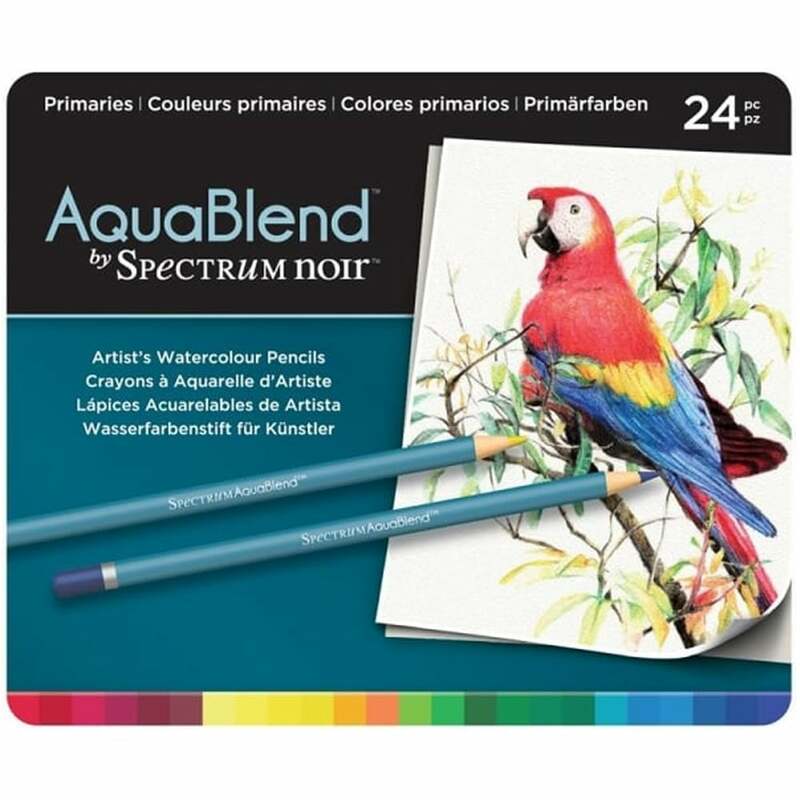 AquaBlend Primaries is a new range of watercolour pencils that are perfect for colouring, sketching and illustration, whether you’re a beginner, a hobbyist or a professional artist. Each pencil is fully loaded with pure artist’s grade pigment, allowing for flawless colour. The pencils are encased in matte coated Californian cedar wood, they have a soft thick 4mm lead for flawless colour and effortless blending when wet. The pencils can be used on dry paper, then washed over with water for an immediate blended effect, the pure high-quality pigment allows for fantastic blending and coverage. Alternatively, for more intense colour they can be applied to wetted paper, or wet the pencil tip directly, they are suitable be for colouring, sketching and illustration. The Primaries set contains 24 pencils.